Studies provided by Allan Schweyer, Executive Director of TMLU, Inc. for the Incentive Research Foundation in July 2016 provided powerful insights into the neuroscience and behavioral economics that affect people engaged in an incentive program. He referenced the acronym "EAST" for building an effective incentive program that is scientifically proven to motivate your employees, sales reps, and teams. 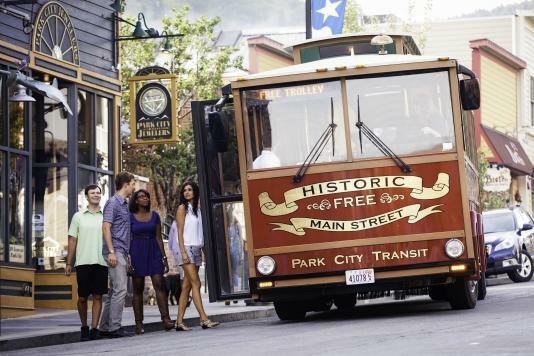 The following three destinations are perfect for providing meeting planners with an Easy, Attractive, Social, and Timely incentive program, but when you are thinking about EAST, and you want to make your meetings a little more luxury, considering heading WEST to Park City, UT! 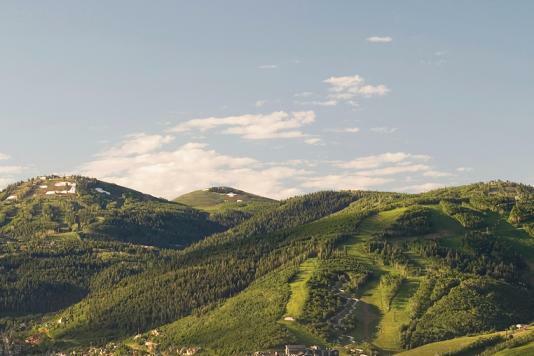 If you are looking for an extra edge on your incentive trip package, Blue Sky Ranch in Park City, UT is on the verge becoming the ultimate incentive experience by Spring 2017. Currently, there are over 3,500 acres of western inspired mountain adventures to choose from that are all guided by experts. Groups can enjoy a scenic horseback ride complemented by a professionally catered lunch by an executive chef as one of the stops on the trail. They can learn how to work cattle, catch a 5-lb Brown trout, shoot clay targets, or explore the ranch by snow-shoes or a snow-cat ride. On the ranch, The High West Distillery invites visitors to follow the whiskey making process from grain-milling and mashing through distilling and aging (and tasting, of course!). Coming soon, Blue Sky ranch will offer luxury yurts outfitted with old-fashioned soaking tubs, state-of-the-art technology, and all surrounded by the ancient and ever-changing views of the Wasatch and Uintas. This is the perfect yoga retreat! Earth House, Sky House, Creek House and Edge House showcase the extraordinary beauty of the land from all angles. Forty meticulously-appointed living spaces range in size from an intimate, airy 600 SF to 2,500 SF of unparalleled luxury. Utah Olympic Park is perfect for the incentive trip that is packed with teamwork, thrilling adrenaline rushes, and inspirational athletes to motivate your teams! As a home training facility for some of the most celebrated athletes in sports history, UOP provides access to Olympic members of the US Speedskating team that you can invite to demonstrate their amazing sport or inspire you with stories of their rise to Olympic greatness during your group event. Optional services from athletes at the park can be planned to include motivational speaking engagements, meet and greets, autograph signings and more! Unite your team with extreme experiences and communication based initiatives: Canyon + Summit Ropes Courses complete with a Drop Tower and Base Camp Team Building Sessions. From mountain biking, to skiing, to alpine water slides, and extreme tubing, there is more incentive itinerary activities than you can imagine at Utah Olympic Park! With over 39,000 square feet of space, the possibilities are endless for your customized event at the Olympic Oval. Planners have access to exclusive use of the 400m Olympic Oval ice, two Olympic Size Hockey Rinks, World Class Running Track, formal meeting space, conference room and more! This huge village in the middle of a small mountain town is completely designed for guests to enjoy everything in one space. Incentive programs at Canyons Village can include everything from ziptours down mountain sides to luxury spa services that have indoor “swim out” entrances into outdoor heated pools. The large area at the base of the mountain ski lift has hosted everything from large concerts to conventions. This is an all seasons resort facility loaded with outdoor fun and beautiful expansive inside spaces that can hold groups of all sizes. The Kokopelli Grand Ballroom measures nearly 6,000 sq. ft. and The White Pine Ballroom is a 1,700 square foot room that can be divided into two. The Grand Summit offers four additional breakout rooms (550 square feet each), and the conference center is equipped with it&apos;s own private lobby entrance. An expert group sales manager for the resort is available to help you design a customizable experience that takes advantage of all this park, village, and resort have to offer! Whether you are looking for an incentive trip that encompasses the EAST (Easy, Attractive, Social, and Timely) or the WEST (Wild, Elevated, Seamless, and The Total Package! ), Park City, UT has you covered! Don&apos;t miss out on planning the ultimate incentive trips that your teams want to win!